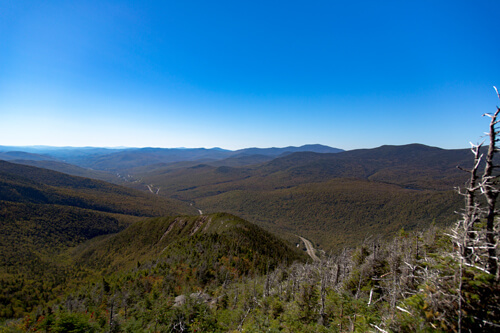 Mount Lafayette is located at the Northern end of the Franconia Range in the White Mountains of New Hampshire in the United-States. At 1600 meters of altitude, the upper reaches of the mountain are located in the alpine zone. 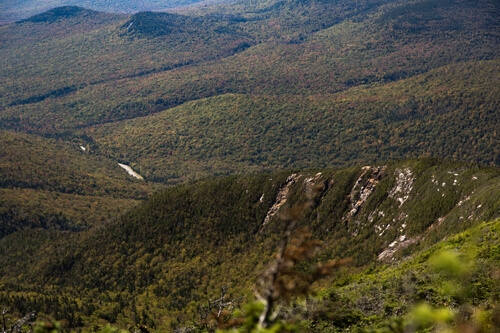 An area where only dwarf vegetation exists due to the harsh climate, which offers a panoramic view of the White Mountains. 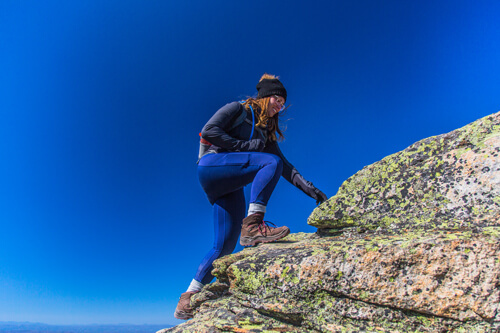 There is a wide range of trails to discover in this region, the Franconia Ridge Trail Loop is undoubtedly the most popular. 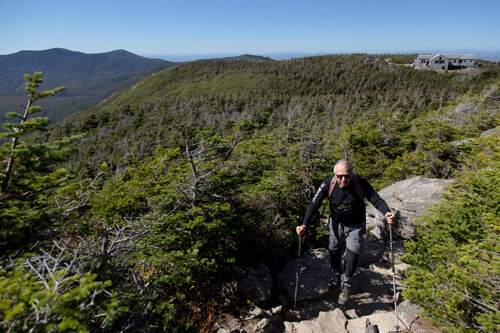 The rough 14km loop trail is only recommended for experienced adventurers. Indeed, the path is quite rugged, the elevation is high and the 14km adds even more difficulty. 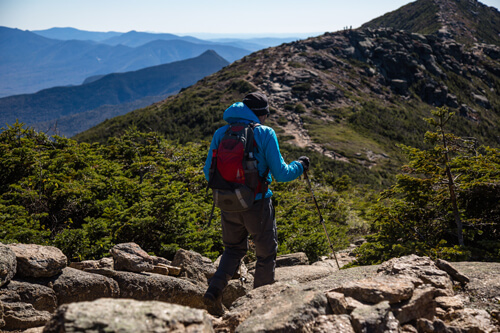 The trail is open year-round, but it’s best to use it from April until October. It’s a must during Autonum! Go for a short trip visiting our Southern neighbours if you are looking for a challenge and a breathtaking landscape. For the more adventurous, there is also the possibility of sleeping in a hut at mid-mountain, you can then make the climb at sunrise, or stay at the summit until sunset. A magical experience! Warning: The parking is very very small, and it is forbidden to park on the campsite, arrive early if you do not want to park on the side of the road. 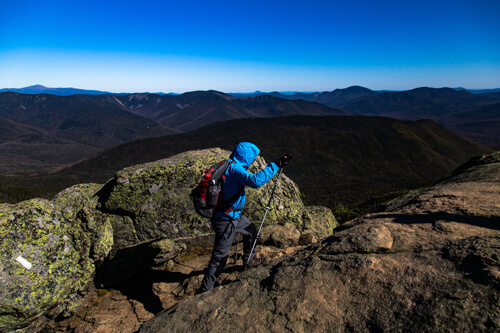 Winter Hiking, What Should You Pack?